Andrea Warren shares to joy of learning through her surprise discovery about composer George Handel while researching her book on Charles Dickens. Without the title, students reading only the first paragraph of this Minute might think the main idea will be about Charles Dickens. Students reading further will realize that this is actually a piece about the composer George Frederic Handel, and more specifically, about the beginnings of the famous Messiah composition. Use this Minute to help students understand the importance of a thorough reading for comprehension. Let them read (without the title) the first paragraph and come to consensus with a prediction for main idea. Read the second paragraph and ask again. Then the third, and so on, charting consensus as you go. When finished, ask students what the changes in their thinking teaches them. Every society has solutions for how to manage the upbringing of their children. What happens if both parents work? What happens when there are no available parents, due to death or other compromising situations that make it better for the child rearing to happen elsewhere? Do all cultures handle this the same? Has this changed over time within a culture? Why or why not? What do the culturally acceptable methods of child rearing say about a society? What factors are significant in the choices that are available? 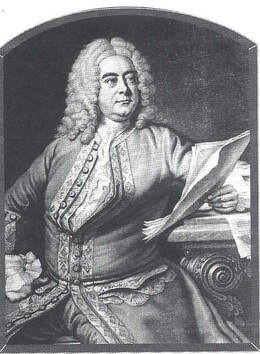 Handel composed the Messiah during the transition from the Baroque period to the Classical period of music. Have students compare and contrast the differences of these two styles. What elements make Messiah fit the Baroque style? Are there elements that suggest the coming transition? Take a look at some of the stellar sites available for teaching your students about music and music history. Check out the NY Phil Kidzone (works better in IE than Chrome) or the orchestra charts for different music periods found on the Dallas Symphony Orchestra’s site for kids. For more great music resources, visit Amy Burns’ list of Ten Interactive Websites to Utilize in the Elementary General Music Classroom.